Thank you so much for the really lovely messages you left on my kitchen reveal post, I really enjoyed reading them, and I’m so gad you like the makeover! 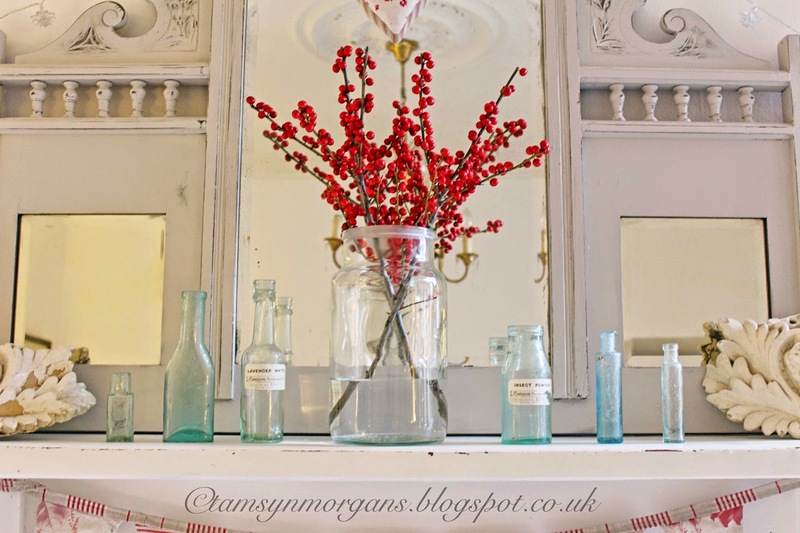 Here’s a little sneak peek of my dining room mantelpiece, not yet in full festive get up but getting there with these amazing berry twigs from Aldi, sat alongside my vintage green bottles. 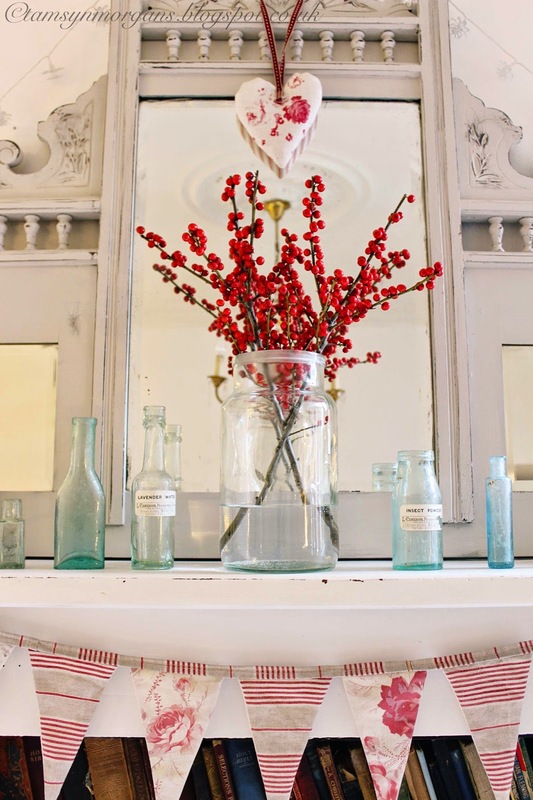 In this room I’m going for lots of white, silver and flashes of red, Scandinavian style. I’ve got my full dining room reveal to share with you too over the weekend which I’m really excited to share with you! I’m feeling so festive and inspired at the moment that I’ve been frantically snapping away in the 20 minutes of light in the morning before I go to work! I have some festive crafts and thrifty vintage inspired gift ideas up my sleeve, as well as my Styling The Seasons post, with my liberty fabric decorations. So exciting!